The chart to the right shows Fat Oxidation in the 90 minutes after low intensity and high intensity exercise. 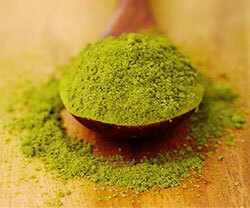 The 1.0 mark is your body’s normal rate of fat oxidation, so 1.2 is a small increase, and 2.0 is a strong increase. This, basically, is the afterburn effect in action. The conclusion from the chart is clear: low intensity exercise barely increases fat oxidation above baseline, but high intensity exercise increases fat oxidation significantly. So if you wanted to cut your body fat, answer me this. 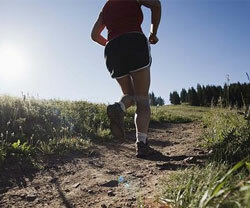 Which is superior, walking 5km or doing 10 hill sprints? Walking 5km burns around 300 calories, whereas doing 10x 45 second hill sprints also burns 300 calories, but the afterburn effect from sprinting is significant while the afterburn from walking is negligible, so your fat loss will be greater from the sprints. 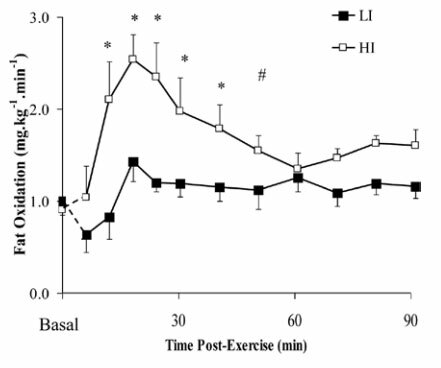 Mb>So comparing 1 hour of low intensity exercise with 15 minutes of high intensity exercise, you can see that the 15 minutes of high intensity exercise is better. The chart below compares continuous cardio with interval training. 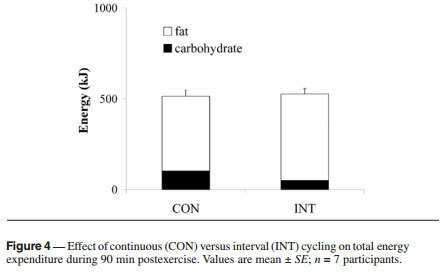 It shows that after interval training, your body burns more fat and less carbohydrates for energy. The difference though is not significant, so you can choose the method that you prefer. More important is the intensity level as discussed above. 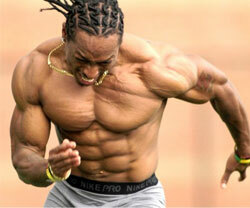 To train at a high intensity level means 80-90% of maximum heart rate. Training in this heart rate range is tough though, and likely can’t be kept up for the 7-15 minutes necessary to achieve good results. So this is where interval training proves its worth: doing 45 seconds of high intensity exercise (such as sprinting), followed by 45 seconds of low intensity exercise (such as walking) done for 10 repetitions is much more doable and only takes 15 minutes (7.5 minutes of high intensity exercise). 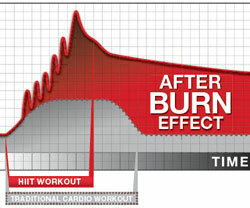 So we have found out that the afterburn effect is most significant after intense exercise, which is best done in intervals (so you don’t collapse from exhaustion!). The afterburn effect truly does help you to reduce fat, by skewing your body’s energy consumption from carbs to fat for a few hours. In our previous article HIIT for Fat Loss we found that people who did HIIT decreased their body fat 2-3 times as fast as people who did endurance exercise. Both of these articles came up with the same conclusions, so if you want to decrease your fat, HIIT works, so even 15 minutes of 45 second sprint intervals (with 45 seconds rest) is enough to give you good results. No Responses to "Afterburn Effect"